The chromatic spectrum that appeals to DJs is rather narrow. Black, Silver and White with a splash of Red appears to be the order of the day. And this very narrow multiple choice means that a larger group of people will be disappointed when new models are coming out. But Pioneer are redressing the paintjob balance a little with a Black CDJ-850 and a Silver CDJ-350. Didn't this come round early? 2 weeks early to be precise, for it seems that my guest appearance on The Gadget Show has been brought forward to tonight. Tonight you'll be able to see if it really is possible for a DJ noob to use consumer technology to rock a set at Ministry Of Sound with just 8 weeks training. What's that? 50% off key NI products for 5 days? Haven't we been here before? 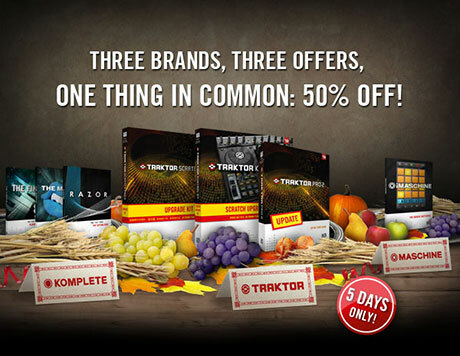 It seems that Native Instruments are offering 50% off some of their key products. I guess Black Friday is more like Black Wednesday to Sunday for NI. The beauty of the digital age is that if things aren't quite right, then you can rapidly wack out an bug squishing and feature enhancing update in double quick time. 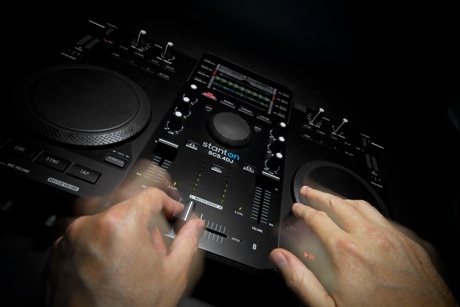 And that's exactly what Stanton have done with their well received SCS.4DJ all in one controller. It's not just the aforementioned bugs and features that have been addressed, but a new Traktor map that offers 4 channel controls from just 2 channels. IDJ Live scratch - iPhone powered scratch deck anyone? I've just finished doing some photography for Filespnr's impending Numark IDJ Live review. Intrigued by the ability of an iPhone to power and manage a controller via MIDI, and inspired by the D-Styles video I just posted, I hastily set up a camera and knocked out a few minutes of IDJ Live scratching. Messy, but does show the scope for Numark to fulfil my dream of a single deck portable scratch deck. Skills over gear - D-Styles on a controller? Djay 4 for Mac is out, and it's good. But let's see just how good it is. A good test of a quality of a piece of gear is scratching - it's visually more interesting, and shows a lot more than knocking out EQ and mixing with sync. So imagine my joy when this clip of acknowledged scratch legend D-Styles turns up pitching him, armed with djay 4 and the entry level Vestax Spin controller, against DJ Cyberia and a QFO. For some, the end of days just happened in this clip. 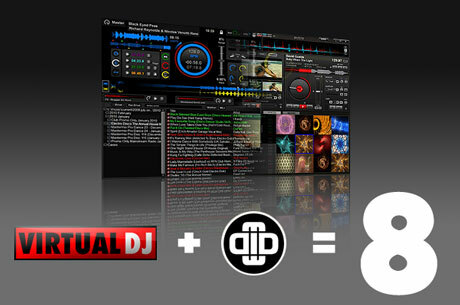 DJ software comes in all shapes and sizes - some good, some bad. 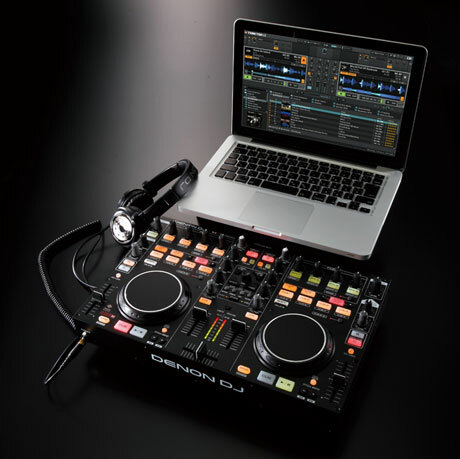 Some aim to reinvent DJing for the digital age, whereas others - algoriddim's djay for Mac in particular have stayed pretty faithful to the conventional roots of 2 turntables and a mixer. And they've learned a few things over the last couple of years, and importantly listened to users to bring djay up to version 4. And yes, you might recognise the camera work. That's 5 days in the dark right there. Game changer - a platitude often bandied around by marketing departments to describe something that is a little different from the norm, but merely moves things on a tad. The QuNeo controller from Keith McMillen Instruments doesn't describe itself as such, but could certainly fit that description. Whatever you thought of controllers before, prepare to be blown away. Imagine my excitement when the people who have been teasing me for years with rumors of the Tweaker let us here at Skratchworx know they were releasing a new interface, the Ebox-44, and they wanted us to review it. The good people at the new and retro branded Electrix, along with their all too kind US distributor Mixware, literally rained these onto the team, and it came down to me - Jared Helfer - and my love of new toys to test it out to completion for you. The idea of having DJ gear made to your very own requirements is generally in the realms of lottery winners and oil sheiks. But the advent of MIDI controllers, especially those with very specific purposes and thus limited controls has seen a small cottage industry develop. 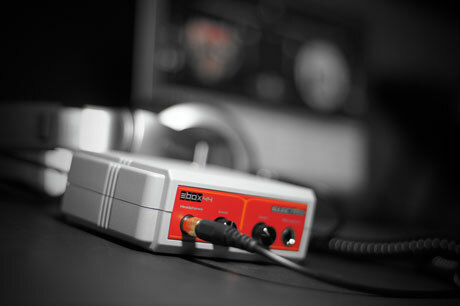 Companies like DJ Tech Tools make a small range of controllers, but it is very much their idea of what a controller should be. 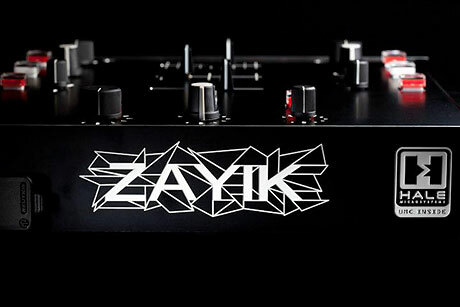 But along comes Zayik - a collective dedicated to delivering you a MIDI controller of your dreams. And here it is - the news that I've known since before the Pioneer Ergo and Serato DJ Intro were announced (or they'd even told me for that matter) but couldn't say anything about. Pioneer's new consumer friendly Ergo controller is, as many of you had hoped and prayed for, is now playing nice with Serato's all new DJ Intro software. 25% off Live - something 9 shaped coming? While I'm neck deep in a project I really should have said no to, this particular gem of a deal is just too good to miss. Ever fancied a go at Ableton Live? Well between now and 15th January 2012 is the best time as they've wiped 25% off the asking price. 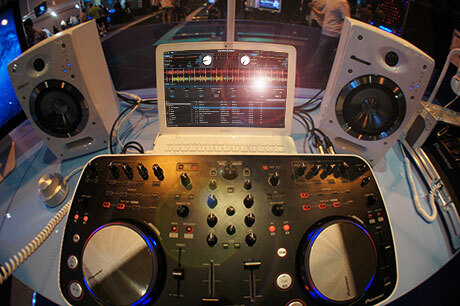 Touchscreen technology for DJs is quite new, but in its short existence it has already undergone a revolution. That Apple shaped revolution did rather send the wonderful looking Attigo prototype touch deck into oblivion. It seems however that his product lives on in the virtual world. Is it me, or does this DJ in hot xbox game Deus Ex: Human Evolution have a pair of Attigos? In this dazzlingly fast moving world of DJ technology, it's unusual to find a vinyl related story anymore, especially when tied into feature updates. But Native Instruments have released some new Traktor timecode dubbed MK2. And as ever, they've rolled out a new video to showcase what it can do. Unkut hammers several NI products into submission. In a swimming pool. Reckless if you ask me. Health and safety would have a field day. Decks - dead or due for a reboot? Turntables, from a DJ perspective are slipping into obscurity. 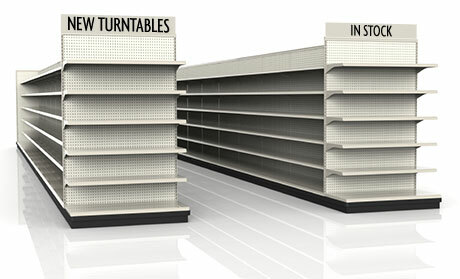 Sales have plummeted to a fraction of what they once were, which has in turn seen the completely unassailable leader of the pack Technics shutter up the factory. But there is a call to arms to keep turntables alive, but given that most of you own the supremely high quality unbreakable Technics, just how do you intend to do this? While iOS developers attempt to squeeze an entire DJ experience into a 4" screen, there has to be a practical minimum size for a physical controller. 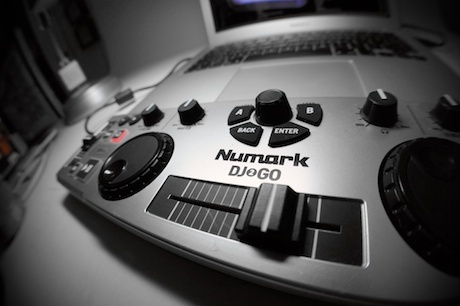 And Numark's DJ2GO might just be that minimum. I've thrown one around the office on and off for a few months and have finally written some words. Not many - it's hardly a taxing device. Atomix's Virtual DJ has a bad rep. We know it, and most importantly they know it too. This rep is largely based on times past when all getting a copy was as easy as a 10 second online search. But times are changing in the DJ software industry, with reputations and sales turning on a sixpence. One can hardly fail to see that as NI continue down the route of their own hardware, every new controller comes with Virtual DJ LE, and their free version continues to own the App Store. Clearly they are doing something right and putting the former rep behind them. So now is the time for Atomix to invest - to bolster their development team, and bring a whole new energy to the VDJ table. 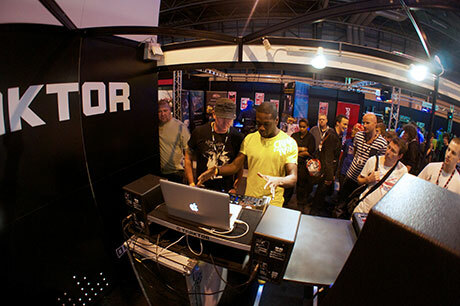 And they've done just that and snapped up Adionsoft - makers of long time skratchworx favourite djdecks. Dicking around with gear is how scratching was invented. And from time to time, the venerable art has been emulated in less that conventional ways. Who amongst us hasn't done the zip scratch at some point? But this is the first time I've seen a wind instrument actually pull off something DJ like. Novation's Twitch controller is largely aimed squarely at DJs. But that doesn't mean that a: DJs shouldn't be able to use other software with it and b: musicians other than DJs shouldn't use it as a control surface either. Thus it comes as no surprise that Novation's solid relationship with Ableton has been further strengthened by making Twitch play nice with Live via the Twitch Live Translator.